The Ooni of Ife, Oba Enitan Adeyeye Ogunwusi, Ojaja II yesterday laid an unprecedented achievement in the history of Yoruba race as he paid an unscheduled visit to Alaafin Of Oyo, Oba Lamidi Olayiwola Adeyemi at his palace to join him in celebrating his 45th coronation anniversary on the throne. Speaking at the thanksgiving service to commemorate the anniversary, Oba Ogunwusi though uninvited emphasized that his agenda, is to unify all Yoruba sons and daughters all over the world. invited, but as the Arole Oduduwa, the onus is on me to felicitate with all sons and daughters wherever they are and to show my solidarity for them. Ooni of Ife‎, Oba Ogunwusi, on Sunday, became the first Ooni to visit Oyo town since 1937. He visited the Alaafin of Oyo, Oba Lamidi Adeyemi III, to grace his 45th coronation anniversary thanksgiving, held at the Methodist Church, Apaara, Oyo State. The Ooni, who was accompanied to the 45th thanksgiving service of Alaafin by over 100 monarchs across Yoruba land, said with the support of all obas in Yoruba land, there will be unity in Nigeria and by extension the world. 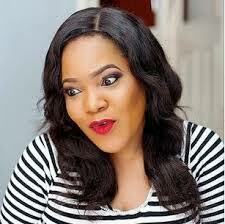 “Oduduwa is father of all nations and his spirit abides by all us as the symbol of the progenitor,” he noted. Earlier in his speech, Oba Olayiwola Adeyemi, who expressed joy with the presence of the Ooni and all other Yoruba Obas, maintained that if every monarch in the Yoruba unite, there will be tremendous progress in Nigeria. The Bishop of Oyo Diocese, Rt, Rev, Titus Ilori Omoniyi, emphasized that the unity among Yoruba nation will bring progress and development and this will leads to unprecedented progress to all nations. 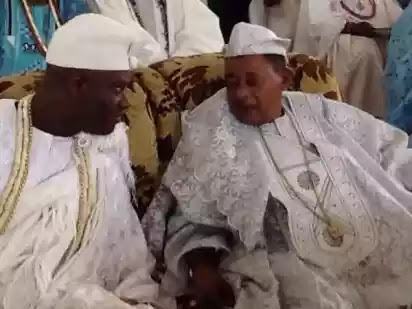 Among the royal fathers that accompanied the Ooni were; Orangun of Ila, Ajero of Ijero, Timi of Ede, Olu of Yewa, Alara of Aramoko, Oore of Otun, Alayemore of Efon Alaye, among others.